2017 Note: You can view this with updated photos over here at this link. 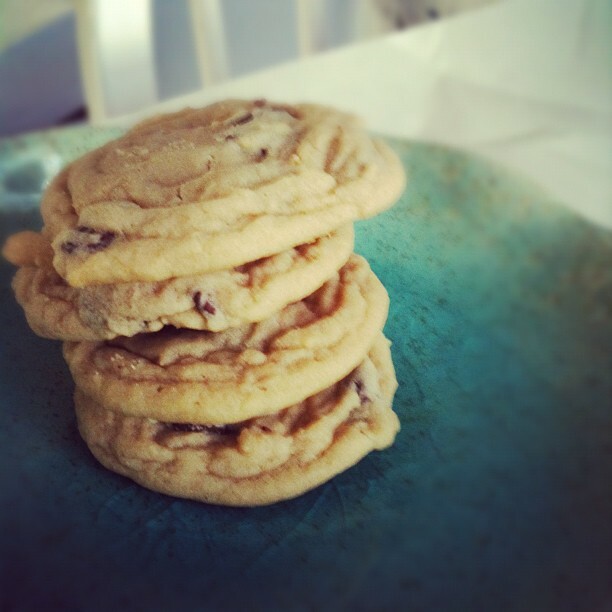 If you hadn't figured out by now, chocolate chip cookies are kind of my go to cookie whenever I just need one rightthisveryminute. I've tried many recipes, which you can find in the archives, with varying results. The chewy molasses ones are pretty good. And so are these ones, based on the Otis Spunkmeyer recipe. But the molasses ones can be time consuming, and there's still something not soft enough about the "Otis Spunkmeyer" recipe for my taste. Enter, these cookies. And, wow. 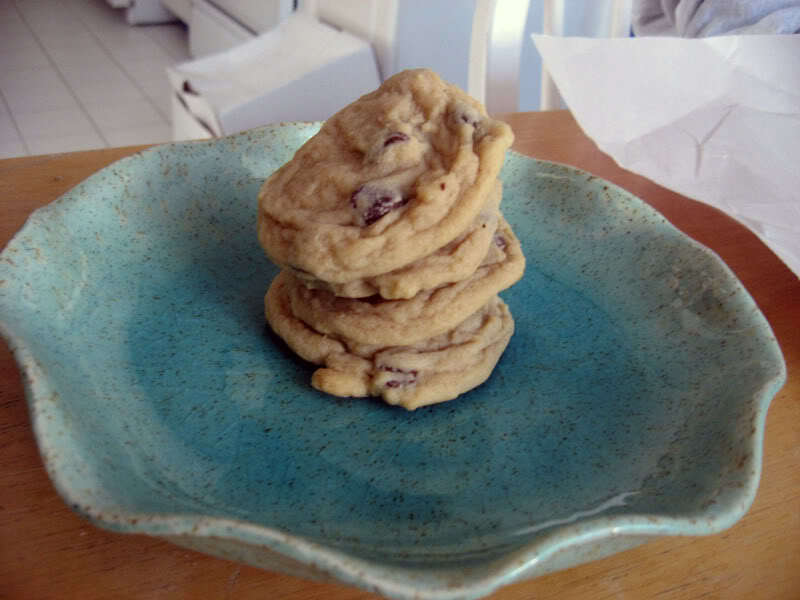 I think I just found my favorite easy chocolate chip recipe ever. I just said ever, people, this is a momentous occasion. Side note: I always want to spell occasion with two s's instead of two c's. What's wrong with me? In any case, these cookies are great. They are exactly as soft and chewy as advertised. I hate a crisp cookie, though I know some people dig that. No, I like something very soft, almost doughy. And these fit the bill perfectly. I had a very hard time not just eating all of them at once. Seriously, try these. I don't think you'd regret it. In your mixer, cream together the butter and sugars until fluffy. Add in egg and vanilla and blend until well mixed. Mix in flour, cornstarch, baking soda, and salt. Stir in the chocolate chips. 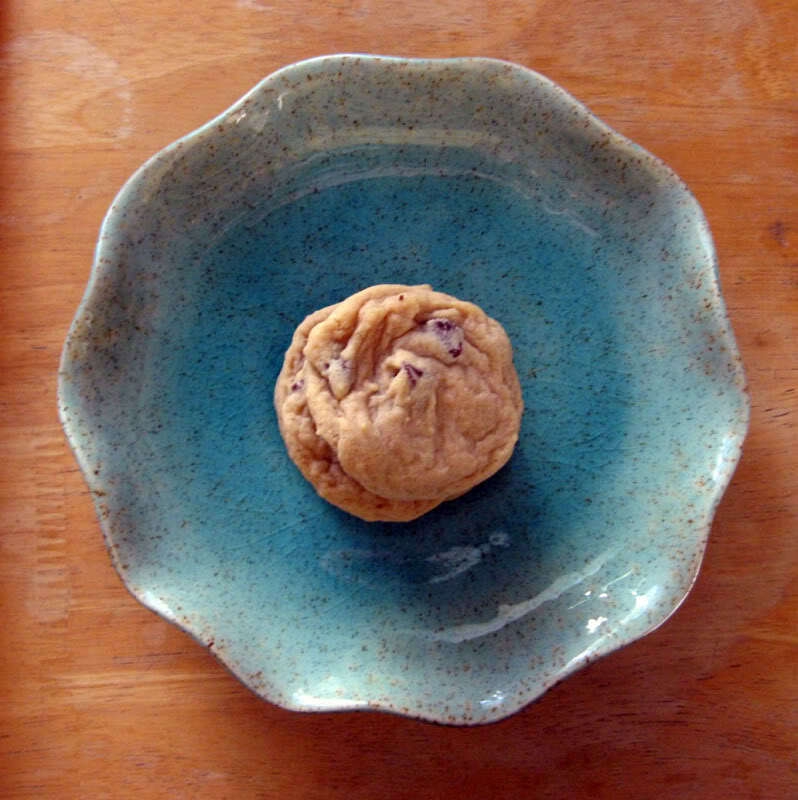 Place tablespoon sized drops of dough on your cookie sheet, bake for 8-10 minutes until barely golden brown around the edges. These will not get brown, so don't overcook them. Let cool on the sheet for a few minutes, then transfer to a wire rack to cool completely. For me this made about 2 dozen. -- I didn't take photos of the process this time around, because it's basically the same as most every other chocolate chip cookie recipe, so you can see those photos around the site if you really have never made a chocolate chip cookie before. It must be the cornstarch? Also, it takes less white sugar than most recipes I've used. Definitely will try this one. Yep it's definitely the cornstarch that makes a difference - and what a difference it is! And yes it has less white sugar and also more vanilla than "regular" recipes, which makes them have an extra sweetness. does it make much of a difference if you use salted butter? i don't have any unsalted on hand.